Seattle-based coffee chain Starbucks will open its first store in eastern San José in March, the company’s fourth in Costa Rica. The new store will be located in Plaza Freses in Curridabat, where currently a company banner advertises job openings. 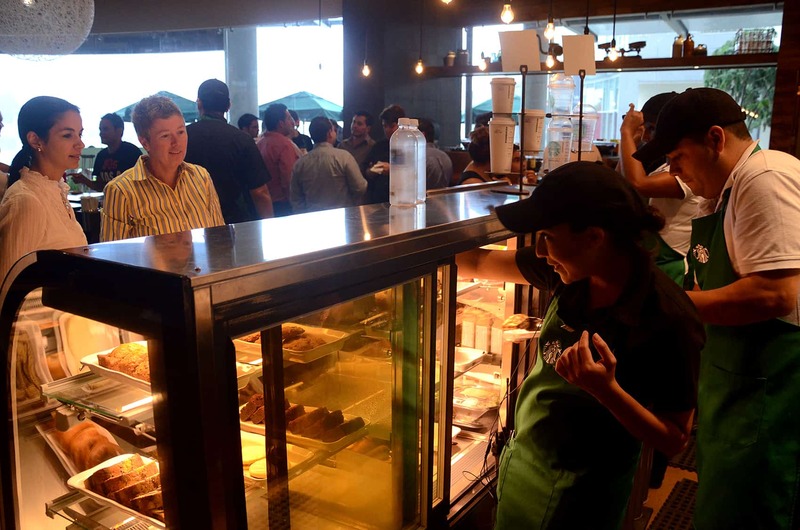 Starbucks Costa Rica Manager Monica Bianchini said an exact date hasn’t been determined. The 180 square-meter location will employ 25 people and will have the same characteristics as the other three Costa Rica stores, Bianchini said. Starbucks launched in Costa Rica in May 2012 at Avenida Escazú, southwest of the capital. In November 2012, the company opened a second store at Lincoln Plaza Mall, and a third in September 2013 at Distrito 4, also in Escazú. Since then, Costa Rica has seen an increase in international coffee shop franchises. Other foreign chains that opened recently include Spanish Saboreate y Café and Honduran Espresso Americano, while Guatemalan Café Barista and Colombian Juan Valdéz said last year they planned on opening stores later this year.